October 11, 2013, 9:37 AM · People love playing there, people love going there. Now 10 years old, Walt Disney Concert Hall stands in Los Angeles as a triumphant commitment to culture -- a happy and thriving marriage of the old and the new. But the 2,265-seat, shining metal house of music, designed a quarter of a century ago by Frank Gehry, is more than an easy-to-recognize symbol for Los Angeles and for the world. It is a structure that houses and supports symphonic music in practical ways, every day. In fact, the degree to which every aspect of the Disney Hall complex supports music lovers and music makers is astonishing. 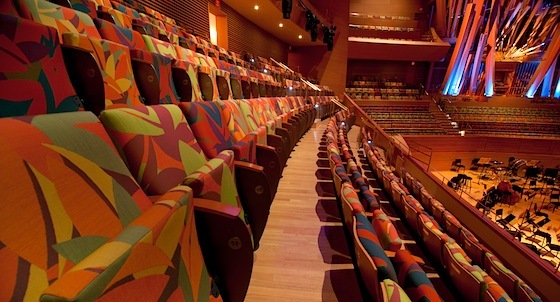 Its acoustics have an immediacy that demands extra attention from both music-maker and audience member. It offers spacious rehearsal rooms, practice and dressing rooms, plentiful space for instruments, ergonomic chairs for musicians, big wooden music stands, office space, meeting space, a cafeteria and well-stocked gift store (want a score for the symphony they're playing tonight? a recording of it? ), a garden -- the list goes on. Beyond anything musical, the 3.6 acre Disney Hall complex also arguably has the best parking garage in downtown LA. If only all symphonic organizations had this: a facility that truly facilitates the art. But bringing Disney Hall into existence was not easy -- it was an ardent fight, all the way. It began more than 25 years ago, in 1987, with a $50-million donation from Lillian Disney, widow to Walt Disney. At the time, the Los Angeles Philharmonic played in the boomy-sounding but beloved Dorothy Chandler Pavilion. ("Why do they need a new hall?") The project stalled for 16 years over demands by the city for a parking garage, acoustical concerns, earthquake codes, and a budget that soared far beyond original expectations -- ultimately it cost $274 million. At times it seemed that the new hall never would be built. But it was. As the Los Angeles Philharmonic continues its month of celebration for Disney Hall's 10th anniversary, I spoke with four LA Phil violinists -- Martin Chalifour, Bing Wang, Nate Cole and Akiko Tarumoto -- about what the hall has meant to the orchestra and to them. 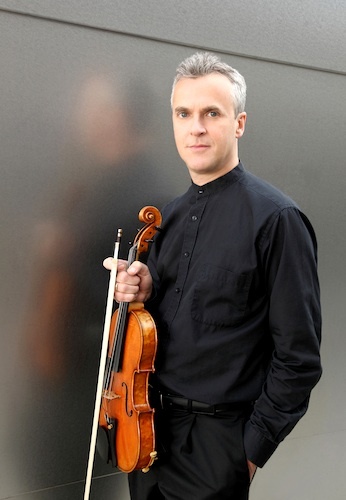 Concertmaster Martin Chalifour played in the LA Phil during the time when the construction of Disney Hall was still in limbo -- then for the excitement of the building's ultimate construction and grand opening on October 24, 2003. Something that jump-started the project was a residency that the orchestra did in 1996 in Paris, for a Stravinsky festival conducted by then-relatively-new LA Phil Music director Esa-Pekka Salonen and the French composer and conductor, Pierre Boulez. When some of the board members heard the quality of the orchestra, playing in the acoustically-superior Théâtre du Châtelet in Paris, they began to understand first-hand, the need for a new hall back home. "The feeling went from one of despair - after construction stopped and we had nothing but a parking garage – to a feeling of elation after we earned international acclaim and recognition for our Stravinsky Opera residency in Paris in 1996," Chalifour said. "From then on, we had gathered new momentum and enough support to get the project going for good." Violinist Akiko Tarumoto also played for several years in the Dorothy Chandler Pavilion -- her LA Phil gig was her very first job. "My first audition for this orchestra was in January 2000," Tarumoto said. "I was still in school and very much dazzled by everything about my first job, including the cavernous Dorothy Chandler Pavilion. I remember coming out of the audition onto Grand Avenue and seeing an enormous dirt pit across the street, and then hearing someone in the orchestra mention that it was the site of the new hall. But it was mentioned with some skepticism, as if it might not happen at all." "When it was finally clear that it would be completed," Tarumoto said, "I didn't have a sense of what that meant because I hadn't been there for the long wait and struggle. But to say that it was an exciting time to be in the orchestra would be an understatement. The joy and adrenaline of the first concert at Disney Hall, where we played Rite of Spring, are something I'll never forget." 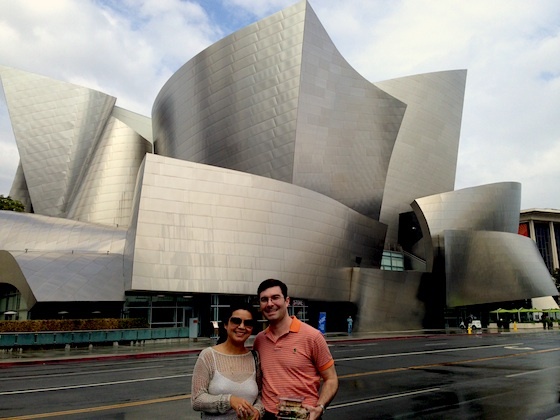 What was the difference, to a musician, between playing in the Dorothy Chandler Pavilion, and playing in Disney Hall? "It's an interesting experience to have played in Dorothy Chandler for three years, in Disney for the first season, and then to come back seven years later," said Tarumoto, who played in the LA Phil four years, then played in the Chicago Symphony Orchestra before coming back to LA last year. "My colleagues will not be surprised to hear me make a fashion analogy, but in the old hall there was a lot of room, physically and acoustically, and it was quite forgiving in the way a baggy sweatsuit might hide a few extra pounds. And we got to Disney and it was the equivalent of being shoved onto a runway in the skimpiest of bikinis. So we had to really learn how to be comfortable being so exposed. On my return after all those years, I realized that the orchestra has achieved that comfort level, but the challenges of maintaining and elevating the necessary musical standard are never-ending." Many musicians say that the clear acoustics in Disney Hall have shifted their perception and made the orchestra feel more like a chamber ensemble. "Disney was a 180-degree shift for us -- much more warmth, reverb and clarity," Chalifour said. "We suddenly did not have to push the sound and play our string instruments so close to the bridge all the time to play beyond 'forte.' Being able to relax and pull a warmer sound out of instruments gave us more the feeling of playing in a giant chamber group. The added clarity helped the ensemble tremendously as the instrument groups could hear each other better, and we even started to sound like a different, improved orchestra in other halls after just a few months." And how about after 10 years? Violinist Nathan Cole joined the LA Phil as First Associate Concertmaster just two years ago, so instead of comparing Disney to the Dorothy Chandler, he sees it in the context of other halls around the world. "In order to project quality to the back of the hall, we have to have it on stage as well. That means that we get a 'fair' or 'true' representation of our sound immediately, which is very nice to have when you're working on group sound. Disney really seems to be one of those halls where there isn't a bad seat," Cole said. "No seat is especially far away, and from what people tell me, the orchestra sounds like a group no matter where you're listening from. That isn't the case in every hall, where you have 'dead spots' and areas where the brass, woodwinds, or strings are predominant. We like to control the balance on stage, then let the hall carry that to all of the listeners. There is a difference, for sure, when we play in a hall like Vienna, where we can hear an audible 'bloom,' or reverb, of several seconds. An orchestra that plays in a hall like that every day has to make certain adjustments. For example, the softest dynamics really must be nearly inaudible in order to sound quiet. That was a challenge for us when we played there. But creating a sustained, connected sound was second nature there, because we have to struggle every day to carry that off in our modern hall, without its lavish reverb. Neither one is objectively better than the other, but the group has to be aware of the differences." "It’s live, warm when it needs to be, and bright too," Chalifour said. "Despite its size, the hall lends itself well to all genres: from small Baroque groups where we can get away with playing lightly – even no vibrato - to jazz, to the very largest Romantic repertoire. And all without the need to tamper with adjustments and movable acoustic panels." In fact, "the acoustic of the hall is so live that we hear every cough and program dropping from the audience!" said violinist Bing Wang. And it's not just the sound and resulting tight ensemble that makes members of a big orchestra feel like they are playing in a chamber ensemble. It's also a feeling of being closer to the audience. "I love that the intimacy of the space brings orchestral playing closer to chamber music than any other place I've ever performed," Tarumoto said. "Disney really shines because the audience is so close, and they're all around us," Cole said. "It's really a reminder that we are performers the moment we emerge from the wings, not just when we're playing notes. I recognize the 'regulars' in the crowd, and not just in the front few rows. They recognize me, too, in some cases, and they'll come up before a concert or at intermission. I can see facial expressions in the crowd, and I love 'scanning' the audience when I'm counting rests. After all, the audience is what makes a live performance the event that it is, and that audience is not just an anonymous mass. They're each experiencing our concert in a different way, and I love seeing and hearing that, up close." "It is so functional and pleasant to work there -- just amazing," Chalifour said. "There are tons of practice rooms, some with carpeting, some larger ones with hard-wood floors, windows, sunlight, and good pianos. We are blessed. The green room is quiet and close to the dressing areas; the musician lounge provides plenty of space for everyone to rest and chill, get a bite to eat or do some quiet reading." "I really appreciate the thought that went into the non-musical aspects of the hall," Cole said. "Disney has more natural light than almost any other hall I've played in, both on stage and especially backstage. In many halls, you have to climb stairs up or down, just to get to the off-stage area, which is usually cramped as it is. Carnegie is like this, as well as the Musikverein in Vienna, just to name two of my favorite-sounding halls. You really feel like you've descended into the pit just to get to your seat! And forget about playing a few notes off-stage. There's no room to maneuver, much less put the bow to the string. But at Disney, the generous off-stage area moves right out to the backstage hallways, which are much wider than average. This lets the stagehands get instruments, equipment, and sets on and off, while still giving us room to pass by. I can't tell you what a difference that makes to our day-to-day operations. And there's much less chance of an accident with an expensive instrument this way." "I actually enjoy practicing at the hall, which is a first in my professional life," Cole said. "We have a nice, big lounge with a wall of glass. Oh, and free musician parking -- I'd never had that before, either. Overall, I do feel like the physical properties of the hall reflect the organization's commitment to letting us make the best music that we can." 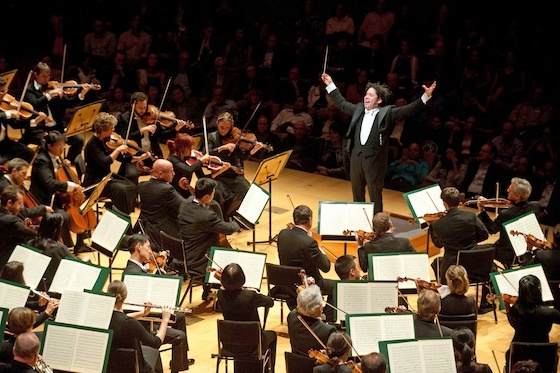 "There's no question that the identity of the LA Phil is tied inextricably to the hall. Everybody knows what it is, and at least something of what goes on there," Cole said. "When I was in Chicago, it was a great orchestra, but if I talked to a random person on the street, they might ask, "Okay, you're in an orchestra, where do you play?" If I said, 'Symphony Center,' or 'Orchestra Hall,' which used to be the name of the building, I'd often need to follow up by saying, 'It's on Michigan Avenue,' or 'across from the Art Institute,' which everybody knew about. Even when you walked right in front of the hall, it sat there crunched between two giant office buildings. It's beautiful inside, but still. "When I say, 'Disney Hall,' everyone in LA knows what that is and what it looks like. And I almost never enter or exit the hall without some tourists taking pictures of the hall, or of themselves in front of the hall. And I love that so many people, tourists and locals, go through the hall on tours." "There are only a few other 'orchestra-hall-city' combinations in the world of such universal recognition that spring to mind, such as the Concertgebouw, with its orchestra of the same name in Amsterdam; the Vienna Philharmonic in the Musikverein; the Berlin Philharmonic in the Philharmonie; the Boston Symphony in Symphony Hall," Cole said. "I'm sure I'm leaving some out. The Berlin hall and Disney are relatively new, of course, which makes them all the more striking for having garnered that kind of name recognition already." Is there anything bad about Disney Hall? "The fabric on the seats has been much maligned, and it did look pretty strange to me the first time I saw it, at my audition!" Cole said. "But legend has it that Mrs. Disney insisted on the fabric as a condition for building the hall. And it has grown on me. You know, many people hated Frank Gehry's design when they first saw it as well, but most of those have changed their minds. I say, let's let the fabric remind us that there are philanthropists out there whose greatest desire is to further the arts. I smile every time I look out at those seats!" 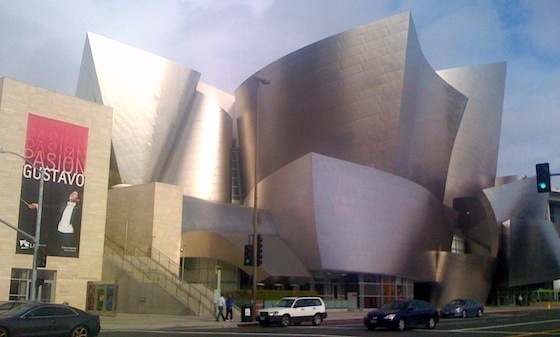 October 14, 2013 at 10:49 AM · Frank Gehry always gets the credit for designing Disney Hall, but I think that it's worth remembering that Yasuhisa Toyota did the acoustics. Without his genius the hall would not be what it is today. October 17, 2013 at 11:32 PM · Very good point, Dimitri! The acoustics are what elevates it to a great hall.